The first International Conference on Methodological Advances in Research (ICMAR) will be staged at the University of San Jose-Recoletos next week. The three-day affair will commence on July 24 with the theme “Global Challenges through the Lens of Advanced Research Methods”. ICMAR is organized by the Visayas-Mindanao Consortium for Journal Publication, Inc. (VMCJPI), a non-stock corporation composed of higher education institutions in the Visayas and Mindanao areas. The conference aims to bridge communication and create synergy between and among higher education institutions to overcome current and future issues which deter the internationalization of research. Foreign and local speakers have been invited to discuss and handle sessions during the conference. 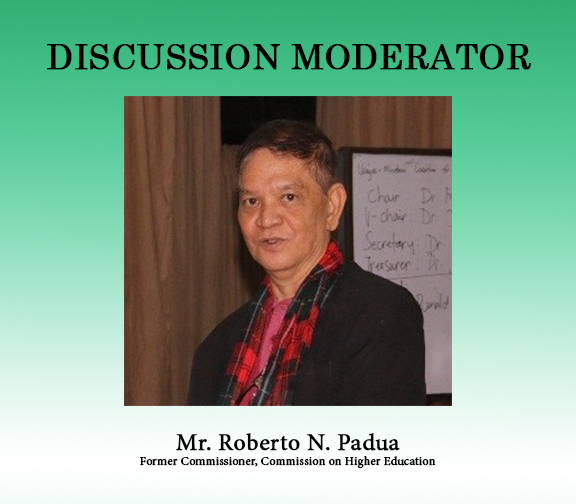 Former CHED Commissioner Roberto N. Padua will be the one to moderate the series of academic discussions. Discussants include Prof. Darryl Raymund Johnson Macer from American University of Sovereign Nations, USA; Dr. Angel Alcala, a National Scientist of the Philippines from Siliman University, Philippines; Dr. Rintu Banerjee from Indian Institute of Technology Kharagpur, India; and Dr. Erika Fille T. Legara from Asian Institute of Management, Philippines. Students and faculty from different higher education institutions are invited to partake in the conference.